An Electric fire uses electricity to warm up an element (a resistive wire) which then transfers heat either by warming air directly or by radiating it as infra-red radiation (heat radiation). Electric Fires are very efficient because they convert nearly 100% of the energy they use to heat, compared with 80% or less for fuel burning fires. Heating is virtually instantaneous and they cool very quickly, so when they are turned off they are safe to leave unattended. All electric fires with the same kW (Kilowatt) rating will use the same amount of heat when switched on, a 2 kW Fire with a built-in fan heater will use exactly the same amount of energy as a 2 kW radiant (bar) heater. 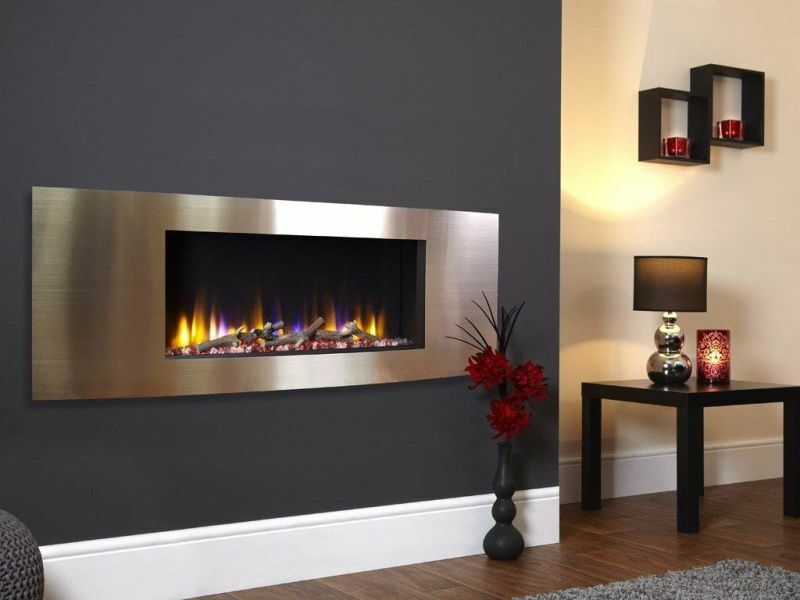 Buying a more expensive electric fire with the same kW rating will not save you money on your energy bill, what will is the way you use your electric fire to regulate the heat in your space. Choosing an electric fire depends on your requirements, a fan heater will blow hot air into the room heating it up quickly. A radiant fire will heat up people and objects (furniture) in front of it, retaining the heat and slowly releasing it back into the room. To see more about how an electric fire works have a look at the bottom of this page. 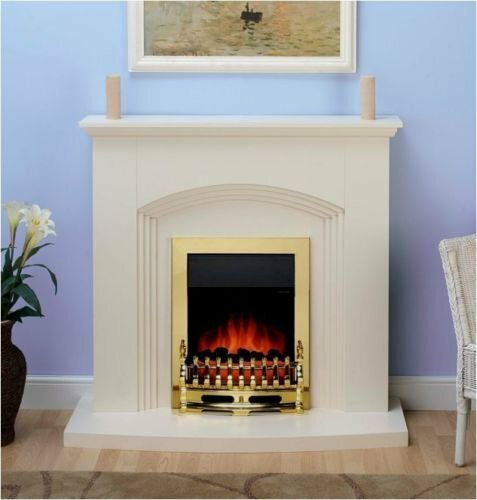 At The Home Fire Shop we advise on fixed electric fires, either fixed inset (the type usually inserted in an existing hearth or fitted into a wall cavity) or fixed outset (these are either mounted on a wall or free standing on the floor) for portable electric fires and heaters please visit The Home Heating Shop. With a fixed inset electric fire you may need some building work to make a cavity to fit them in. Some more advanced models may require running a new circuit from the consumer unit (fusebox) which can carry a higher load. If you are thinking of getting one of these then you will need to have them fitted by a qualified registered electrician. Since 2005 all electrical work in dwellings in England and Wales, must meet the requirements of Part P of the Building Regulations. Part P. states that "anyone carrying out electrical installation work in a home must make sure that the work is designed and installed to protect people from fire and electric shocks". You can view Part P of the building regulations 2010 here or use the logo link. You alter an existing or add a new circuit in a room containing a bath or shower, or a swimming pool or sauna heater. If you cannot prove that the electrical installation work on your property meets the requirements of Part P you will be committing a criminal offence! If you do choose to buy one of these types of fitted electric fire it must be installed by a qualified electrician, so check the electrical supply your fire will need before you buy it! The cost of this electrical installation can be anything from £200 (for running a simple circuit with one outlet) upwards depending on the amount of work involved in installing the circuit and work done to fit the fire in the location you choose. We advise getting a quote first before you buy this type of electric fire. 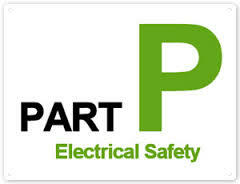 To be sure of using a competent registered electrician use The Registered Competent Person Electrical search facility. Type in your postcode and it will give you a list of registered electricians near you. How Do Electric Fires Work? Electric fires & heaters work by getting an element (wire or other material) hot, then using that hot element to heat either the air (convection and fan heaters) or the objects (radiant & infra-red heaters) in your room. But how do they use electricity to get that heating element hot in the first place? Think of electric current as tiny particles (called electrons) made to flow through a wire, the wire is full of other tiny particles which the electrons bang into and have to squeeze past (the obstruction by these other particles is called resistance). This rubbing of the electrons against the obstacles (resistance) in the wire is called friction and creates heat, the more pressure used to force electrons through the wire the more resistance, the more friction so more heat, this is called resistive heating! 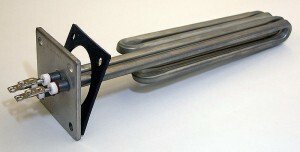 In any heating appliance (Kettles Toasters, and your electric fire) the wires, (or other types of heating elements) are deliberately made of materials which have a high resistance and are robust enough to stand repeated heating and cooling without breaking down (usually a nickel-based alloy called nichrome). A high current passes through the element so the amount of friction is massive and gets the element very, very hot, so hot that the wire elements can glow red and (in the case of fan heaters) can melt if air isn't blown over them to cool them down. Try the old winter trick of warming your hands up, put your hands with your palms pressing against each other now rub them back and forth quickly, after a few seconds they get warm, a few seconds more and they get uncomfortably hot so you have to stop. That heat is caused by the pressure needed to move one piece of skin over another, this is friction! That's the same rubbing happening between electrons and other particles in the wire but millions of times faster.